Tickets can be purchased for 1 or 2 days. 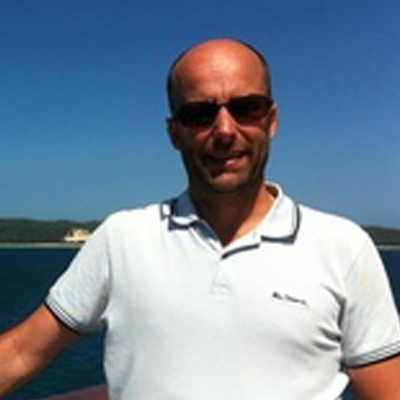 Speaker: Paul Hamilton, Head of Learning Technologies - Primary School,Matthew Flinders Anglican College. How does a school community build a culture of ‘learning with technology’? How, do we as teachers, foster within our students, a ‘solutions-focused’ mindset, and allow students to explore and discover the limitless possibilities technology offers? In this Keynote Address, Paul Hamilton shares his experience as Head of Learning Technologies in a Primary School setting, of the journey towards a shared vision, and the inevitable hurdles that present themselves along the way. Speaker: Mark Savery, Head of eLearning (P-12), STEM and Social Innovation Coordinator, Emmanuel College. A MakerSpace is a place where students can come together to learn, design and create! This powerful avenue for hands-on experimental play can complement the curriculum while giving students an avenue to engage with different technologies, all while creating and collaborating over different projects. If you’re new to the MakerSpace journey, come along and get ‘hands-on’ with a range of affordable technologies and tools to make your MakerSpace the place students can’t live without. When BYOx practice works well in schools, benefits such as increases in engagement, flexibility and opportunities for personalised instruction lead to better pedagogy and learning. Problem Solving Teaching is an effective pedagogical strategy that has a significant body of research to support its high standing in mathematics education. More broadly, the explicit teaching of problem solving skills in a number of subject areas yields a demonstrably positive impact on student learning. At Narangba Valley High School, a team have refined a collaborative problem solving process, which blends the elements of Polya’s four phases of problem solving and Reciprocal Teaching, over four years. By flipping lessons, Ken has further facilitated this pedagogy, as more time can be devoted to it in class. Part A of this session initially engages participants in a short in-flipped session – to simulate the Individual Space experience of a Mathematics student. The next phase is the workshop, which immerses attendees in the collaborative problem solving process, all in a BYOx context. Part B of this session continues with collaborative practice in the BYOx environment, leading into a guided reflection session where participants can brainstorm or plan for possible transferable elements to their own context. Attendees will require an internet enabled device. A set of earphones would be advantageous. Project Zero - ‘Thinking Routines’ are some of the most powerful learning experiences we can give our students. Combine these with the effective use of technologies and will allow teachers to see more clearly what is happening in our young students minds. Paul takes you through a range of different routines from P-6 that develop higher level thinking skills for students. With the new digital technologies curriculum released, Paul explores different effective pedagogies that allow for a truly student-centred learning experience when exploring new concepts such as coding. concurrent Option 2 - Bringing It All Together! In this hands-on workshop participants will move through the Design Thinking Process, as we demonstrate how this model guides our planning in the Junior and Middle School. We will share a learning experience from all year levels, Prep – Year 9, and illustrate how we incorporate 21st Century Learning Design and Academic Rigour in meaningful ways. By harnessing the power of digital tools in our Makerspace, our students develop valuable skills that support them when engaging with our STEM and Entrepreneurial pathways throughout the school. Are you wanting to take your MakerSpace to the next level? Come and be inspired by different projects our students have suggested, undertaken and accomplished within the MakerSpace. Again, as a hands-on session, engage with creating content for Augment, Virtual and Mixed Reality, and learn about achievable projects like our Coffee Table Arcade Machine and the Raspberry Pi photo booth! Learn how you can engage a culture of technological creativity while in turn developing ‘Maker’ students who influence their classrooms. Year 6 students used our Learning Management System (LMS), Firefly, to create their own Virtual Museums that each captured a unique story about migration to Australia. The project was made possible by a national grant awarded by the Primary English Teacher’s Association of Australia (PETAA). A large emphasis of the project was to integrate the ‘art and craft’ of writing within digital spaces, allowing students to develop a range of soft skills that are transferable to a range of settings and tasks, with emphasis placed on skills required by students in the future. This workshop will showcase the process we undertook to successfully implement an engaging and future skills focussed project with a large Year 6 cohort. We will also share numerous samples of the students work. Participants will have the opportunity to explore a selection of the tools and apps that our students found highly engaging and useful for their digital publishing such as Canva, Thinglink, Movie Making and Content Creation in our LMS. Speaker: Troy Waller, Learning Delivery Specialist, Microsoft. To get the most out of this workshop, please bring a PC running Windows 10 or a Mac running the latest MacOS. Download and install Minecraft Education Edition from the link to the left. “Maker space” - is this just another educational buzzword or something we have been doing all along? Maker spaces are places for learners to tinker and innovate. They are spaces for risk-taking and failure. In this keynote we will discuss; How might we, as educators, embed a culture of making into our schools? Whilst the pedagogy must be the core of the design and furniture choice for agile learning spaces, the right technology tools are also vital to scaffold important elements such as flexibility, collaboration, communication and modern teaching and learning possibilities. In this hands on workshop participants will hear about our experiences with adopting agile approaches with particular emphasis on the types of technologies we have found to complement and enhance learning, as well as engage learners. Technologies to be discussed, demonstrated and explored include software to support wireless projection, our Learning Management System, Backchannels, Virtual Reality, Collaborative student approaches and more. Session Overview - This is a two part workshop. Having students interact with new content for the first time, through teacher made videos means that they can learn the content at their own pace. It also means that class time can be spent on more active, student centred, group learning tasks. In this workshop, Steve will introduce the general principles of video learning to maximise student learning. Steve will demonstrate a range of video types including screencasting, document camera and lightboard. Participants will have a chance to try out these video types and make a video. He will then demonstrate ways in which the videos can be made available to students. This workshop will focus on ways we can assist the youngest learners in our school to create meaningful content using a variety of technological tools to develop resilience and agency. 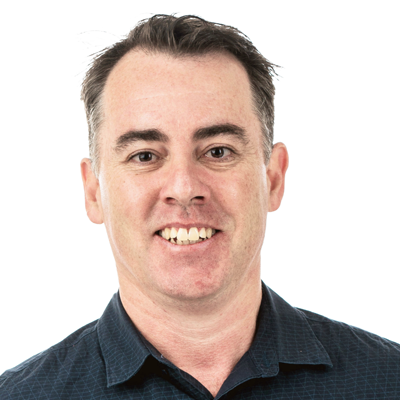 The conference will open with Paul Hamilton, Head of Learning Technologies in the Primary School at Matthew Flinders Anglican College presenting a keynote; Brave, Connected and Unplugged. 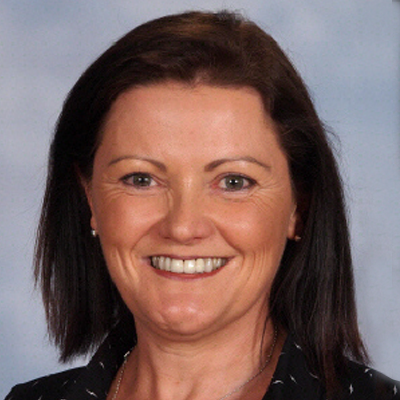 On day two the keynote will be delivered by Alfina Jackson known to many as “The Geeky Aus Teacher”, a Google Certified Innovator and self-declared Geek. Her keynote title is; Maker spaces as spaces to grow, tinker and innovate. Throughout the two days, hands-on workshops will be presented by some of the leading teachers in Queensland around the themes; Digital Presentations, Makerspace, Cloud Computing, Flexible Learning Spaces and Developing content creators.